Plaid Cymru wants to develop an employment and social security system that does more to support benefit claimants into work, “dealing with people fairly” and “without the use of sanctions”. 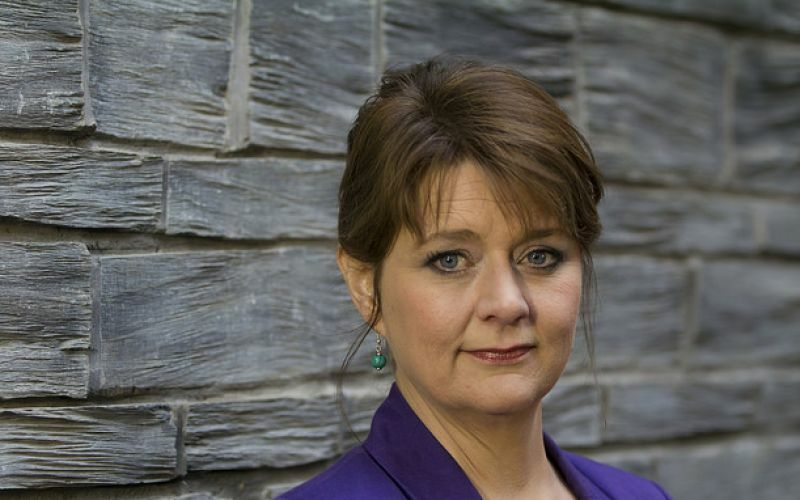 In its manifesto, published this week, the party (led by Leanne Wood, pictured) says it is planning for the devolution of more powers over social security to Wales, and wants to design and develop its own benefits and employment system, with the help of disabled people and disability groups. It told Disability News Service that some parts of the social security system – such as council tax benefit and the social fund – had been devolved to Wales at “very short notice”, and further devolution was likely, even though the government’s white paper, published in February, said welfare would not be devolved. A party spokeswoman said it made sense to “begin planning a coherent and joined up approach to welfare which reflects the needs of Wales and the philosophy of Plaid Cymru so that we are able to develop specific responses when some aspects of welfare are devolved”. But she said the party also wanted to set out an alternative approach to the one laid out by the last Labour and coalition governments. She said: “We strongly object to the way people claiming benefits have been demonised, disabled people have seen support reduced and withdrawn with ill-designed assessments such as the work capability assessment, and the increased use of sanctions have led to a 484 per cent increase in foodbank use in Wales. The manifesto also says it would provide greater opportunities for disabled people across Wales to find jobs, through a new “Welsh jobsearch service”. This would concentrate support on those who most need it, with close links with the education and skills department, and the aim of supporting people into careers rather than “low paid insecure temporary jobs”. The Plaid Cymru spokeswoman said: “The current operation of the jobcentre creates an adversarial culture where claimants are required to take action that often does not help their career prospects. The party also wants to push the next government to commission an independent review of the use of benefit sanctions, in order to ensure a “humane and effective social security system”. The spokeswoman said the party did not believe that sanctions should be “as widely and inappropriately used as at present”. If the next UK government does not order a review, the Welsh government could carry one out itself, she said, “as a way of influencing the UK government to do the right thing”. The party also wants to scrap the “bedroom tax”, known by the government as the spare room subsidy removal. And it says that, if there was a more devolved justice system, it would ensure that more offenders with mental health conditions were diverted away from prison and “towards alternatives to custody”. In the meantime, its MPs would push for such policies at Westminster. Like all of the other main parties, Plaid Cymru backs further integration of the NHS and the social care system. The manifesto pledges to continue to promote adapted housing, and to work closely with councils to ensure that disabled facilities grants are “implemented efficiently”. It also says it would ensure all schools have appropriate access for pupils with physical impairments, review provision for children with special educational needs – to make sure that “resources are used in the most effective way” – and improve provision of childcare for disabled children. Plaid Cymru would also ensure that all schools include the “teaching of tolerance and anti-discrimination”, including ensuring that pupils learn about the social model of disability.